ALVES, JULIANA MAZINI ; Lin, Katia . Neuropathic Pain: A Review of Interneuronal Disinhibition. Archives of Neuroscience, v. 5, p. e12290, 2018. FIALHO, GUILHERME L. ; PAGANI, ARTHUR G. ; WOLF, PETER ; Walz, Roger ; LIN, KATIA . Echocardiographic risk markers of sudden death in patients with temporal lobe epilepsy. EPILEPSY RESEARCH, v. 140, p. 192-197, 2018. HOHL, ALEXANDRE ; ZANELA, FERNANDO AREAS ; GHISI, GABRIELA ; RONSONI, MARCELO FERNANDO ; Diaz, Alexandre Paim ; SCHWARZBOLD, MARCELO LIBORIO ; DAFRE, ALCIR LUIZ ; REDDI, BENJAMIN ; LIN, KÁTIA ; PIZZOL, FELIPE DAL ; Walz, Roger . Luteinizing Hormone and Testosterone Levels during Acute Phase of Severe Traumatic Brain Injury: Prognostic Implications for Adult Male Patients. Frontiers in Endocrinology, v. 9, p. 1-7, 2018. DE SOUSA, JORGE MURILO BARBOSA ; FIALHO, GUILHERME LOUREIRO ; WOLF, PETER ; Walz, Roger ; LIN, KATIA . Determining factors of electrocardiographic abnormalities in patients with epilepsy: A case-control study. Epilepsy Research, v. 129, p. 106-116, 2017. VALENTE, KETTE D ; DE PAOLA, LUCIANO ; PALMINI, ANDRE ; FAVERET, EDUARDO ; DE ARAUJO-FILHO, GERARDO MARIA ; VAN DER LINDEN, HELIO ; BIANCHIN, MARINO M. ; Walz, Roger ; ALESSI, RUDÁ ; VELASCO, TONICARLO ; TEIXEIRA, WAGNER A. ; LAFRANCE, W CURT . The approach to patients with psychogenic nonepileptic seizures in epilepsy surgery centers regarding diagnosis, treatment, and education. Epilepsy & Behavior (Print), v. 68, p. 78-83, 2017. PAULI, CARLA ; SCHWARZBOLD, MARCELO LIBORIO ; Diaz, Alexandre Paim ; DE OLIVEIRA THAIS, MARIA EMILIA RODRIGUES ; KONDAGESKI, CHARLES ; LINHARES, MARCELO NEVES ; GUARNIERI, RICARDO ; DE LEMOS ZINGANO, BIANCA ; BEN, JULIANA ; NUNES, JEAN COSTA ; MARKOWITSCH, HANS JOACHIM ; WOLF, PETER ; WIEBE, SAMUEL ; LIN, KATIA ; Walz, Roger . Predictors of meaningful improvement in quality of life after temporal lobe epilepsy surgery: A prospective study. EPILEPSIA, v. ., p. ., 2017. DE OLIVEIRA, PAULO ALEXANDRE ; BEN, JULIANA ; MATHEUS, FILIPE CARVALHO ; SCHWARZBOLD, MARCELO LIBORIO ; MOREIRA, EDUARDO LUIZ GASNHAR ; RIAL, DANIEL ; Walz, Roger ; Prediger, Rui Daniel . Moderate traumatic brain injury increases the vulnerability to neurotoxicity induced by systemic administration of 6-hydroxydopamine in mice. BRAIN RESEARCH, v. 1663, p. 78-86, 2017. FIALHO, GUILHERME L. ; PAGANI, ARTHUR G. ; Walz, Roger ; WOLF, PETER ; LIN, KATIA . Maximal/exhaustive treadmill test features in patients with temporal lobe epilepsy: Search for sudden unexpected death biomarkers. EPILEPSY RESEARCH, v. 133, p. 83-88, 2017. LENOIR DA SILVA, THIAGO ; MULLER LINHARES, ROSE MARIE ; PERTILE REMOR, ALINE ; GHISONI, KARINA ; DE PAULA MARTINS, ROBERTA ; POLI, ANICLETO ; AGUIAR JR, ADERBAL ; FERNANDO RONSONI, MARCELO ; HOHL, ALEXANDRE ; Walz, Roger ; LATINI, ALEXANDRA . Blood advanced glycation end products and biomarkers of inflammation in class III obese Brazilian subjects. Integrative Obesity and Diabetes, v. 3, p. 1-4, 2017. OSÓRIO, CAMILA MOREIRA ; LIN, KÁTIA ; GUARNIERI, RICARDO ; DE OLIVEIRA THAIS, MARIA EMÍLIA RODRIGUES ; DRESCH VASCOUTO, HELENA ; REMOR, ALINE PERTILE ; LOPES, MARK WILLIAM ; LINHARES, MARCELO NEVES ; BEN, JULIANA ; DE PAULA MARTINS, ROBERTA ; HOELLER, ALEXANDRE ADEMAR ; WOLF, PETER ; LATINI, ALEXANDRA ; Walz, Roger . Mitochondrial respiratory chain complex enzyme activities of limbic structures and psychiatric diagnosis in temporal lobe epilepsy patients: Preliminary results. CNS Neuroscience & Therapeutics, v. 23, p. 700-702, 2017. HOELLER, ALEXANDRE ; DE CARVALHO, CRISTIANE ; FRANCO, PEDRO ; FORMOLO, DOUGLAS ; IMTHON, ALEXANDRE ; DOS SANTOS, HENRIQUE ; EIDT, INGRID ; SOUZA, GABRIEL ; CONSTANTINO, LEANDRA ; FERREIRA, CAMILA ; PREDIGER, RUI ; BAINY LEAL, RODRIGO ; Walz, Roger . Behavioral and Neurochemical Consequences of Pentylenetetrazol-Induced Kindling in Young and Middle-Aged Rats. PHARMACEUTICALS, v. 10, p. 75, 2017. PAULI, CARLA ; DE OLIVEIRA THAIS, MARIA EMILIA RODRIGUES ; GUARNIERI, RICARDO ; SCHWARZBOLD, MARCELO LIBORIO ; Diaz, Alexandre Paim ; BEN, JULIANA ; LINHARES, MARCELO NEVES ; MARKOWITSCH, HANS JOACHIM ; WOLF, PETER ; WIEBE, SAMUEL ; LIN, KATIA ; Walz, Roger . Decline in word-finding: The objective cognitive finding most relevant to patients after mesial temporal lobe epilepsy surgery. EPILEPSY & BEHAVIOR, v. 75, p. 218-224, 2017. Lin, Katia; GUARANHA, MIRIAN ; WOLF, PETER . Reflex epileptic mechanisms in ictogenesis and therapeutic consequences. Expert Review of Neurotherapeutics, v. 16, p. 573-585, 2016. LUNARDI, MARIANA S. ; Lin, Katia ; MAMENI?KIEN’, R’TA ; BENICZKY, SANDOR ; BOGACZ, ALICIA ; BRAGA, PATRICIA ; Guaranha, Mirian S.B. ; Yacubian, Elza M.T. ; SAMAITIEN’, R’TA ; BAYKAN, BETÜL ; HUMMEL, THOMAS ; WOLF, PETER . Olfactory stimulation induces delayed responses in epilepsy. Epilepsy & Behavior (Print), v. 61, p. 90-96, 2016. SILVA, B. M. ; LIN, KATIA . PERFIL DEMOGRÁFICO DO ACIDENTE VASCULAR ENCEFÁLICO NO HOSPITAL UNIVERSITÁRIO PROF. POLYDORO ERNANI DE SÃO THIAGO (FLORIANÓPOLIS, SC) ENTRE OS ANOS 2001 E 2012. Arquivos Catarinenses de Medicina (Online), v. 45, p. 43-58, 2016. ARAUJO, THABATA B. DE ; ARAUJO FILHO, GERARDO M. DE ; SATO, JOÃO R. ; ARAÚJO, CELIA M. DE ; LISONDO, CLÁUDIO M. ; Carrete Jr, Henrique ; ANCONA, ALVARO ; Lin, Katia ; BRESSAN, RODRIGO A. ; SILVA, JULIETA F. R. DA ; Jackowski, Andrea P. . Cortical morphology changes in women with borderline personality disorder: a multimodal approach. Revista Brasileira de Psiquiatria (São Paulo. 1999. Impresso), v. 36, p. 32-38, 2014. DE ARAUJO FILHO, GERARDO MARIA ; ABDALLAH, CHADI ; RICARDO SATO, JOÃO ; DE ARAUJO, THABATA BUENO ; MAURICIO LISONDO, CLÁUDIO ; DE FARIA, ÁLVARO ANCONA ; Lin, Katia ; Silva, Ivaldo ; AFFONSECCA BRESSAN, RODRIGO ; DA SILVA, JULIETA FREITAS RAMALHO ; COPLAN, JEREMY ; PAROLIN JACKOWSKI, ANDREA . Morphometric hemispheric asymmetry of orbitofrontal cortex in women with borderline personality disorder: A multi-parameter approach. Psychiatry Research. Neuroimaging (Print), v. 223, p. 61-66, 2014. FERREIRA, R.M. ; MACHADO, G. ; SOUZA, A.S. ; Lin, K. ; CORRÊA-NETO, Y. . CLIPPERS-like MRI findings in a patient with multiple sclerosis. Journal of the Neurological Sciences, v. 327, p. 61-62, 2013. HAMAD, ANA PAULA ANDRADE ; CARRETE, HENRIQUE ; BIANCHIN, MARINO MUXFELDT ; FERRARI-MARINHO, TAISSA ; Lin, Katia ; YACUBIAN, Elza Márcia Targas ; Vilanova, Luiz Celso Pereira ; GARZON, Eliana ; Caboclo, Luís Otávio ; SAKAMOTO, Américo Ceiki . Morphological variations of hippocampal formation in epilepsy: Image, clinical and electrophysiological data. Epilepsy & Behavior (Print), v. 26, p. 67-70, 2013. DE ARAUJO FILHO, GERARDO MARIA ; DE ARAUJO, THABATA BUENO ; SATO, JOÃO RICARDO ; SILVA, IVALDO DA ; Lin, Katia ; Júnior, Henrique Carrete ; Yacubian, Elza Márcia T. ; Jackowski, Andrea Parolin . Personality traits in juvenile myoclonic epilepsy: Evidence of cortical abnormalities from a surface morphometry study. Epilepsy & Behavior (Print), v. 27, p. 385-392, 2013. Lin, Katia; DE ARAUJO FILHO, GERARDO MARIA ; PASCALICCHIO, TATIANA FRASCARELI ; Silva, Ivaldo ; TUDESCO, IVANDA SOUZA SILVA ; Guaranha, Mirian Salvadori Bittar ; CARRETE, HENRIQUE ; Jackowski, Andrea Parolin ; YACUBIAN, Elza Márcia Targas . Hippocampal atrophy and memory dysfunction in patients with juvenile myoclonic epilepsy. Epilepsy & Behavior (Print), v. 29, p. 247-251, 2013. DE CASTILHOS, RAPHAEL MACHADO ; SOUZA, ALINE FD ; FURTADO, GABRIEL VASATA ; GHENO, TAILISE CONTE ; DA SILVA, ALISSON LOPES ; VARGAS, FERNANDO REGLA ; LIMA, MARIA-ANGELICA FD ; BARSOTTINI, ORLANDO ; PEDROSO, JOSÉ LUIZ ; GODEIRO-JUNIOR, CLECIO ; SALARINI, DIEGO ; PEREIRA, ELIANA TERNES ; Lin, Katia ; TORALLES, MARIA-BETANIA ; SAUTE, JONAS ALEX MORALES ; DE MELO RIEDER, CARLOS ROBERTO ; QUINTAS, MARLENE ; SEQUEIROS, JORGE ; ALONSO, ISABEL ; SARAIVA-PEREIRA, MARIA-LUIZA ; JARDIM, LAURA BANNACH . Huntington Disease And Huntington Disease-Like In A Case Series From Brazil. Clinical Genetics, v. 1, p. n/a-n/a, 2013. NEVES, F. S. ; FERREIRA, R. M. ; PEREIRA, I. A. ; ZIMMERMANN, A. F. ; LIN, KATIA . Neuro-Behçet’s disease, its mimickers and anti-TNF therapy: a case-based review. Clinical and Experimental Rheumatology, v. 31, p. 133-140, 2013. Fragoso, Yara Dadalti Alvés León S ADONI, TARSO ALMEIDA, SANDRA MARIA GARCIA DE Alves-Leon, Soniza Vieira ARRUDA, WALTER OLESCHKO BARBAGELATA-AGUERO, FIORELLA Brooks, Joseph Bruno Bidin CARRA, ADRIANA CLAUDINO, RINALDO Comini-Frota, Elizabeth Regina CORREA, EBER CASTRO DAMASCENO, ALFREDO DAMASCENO, BENITO PEREIRA DIAZ, ETHEL CIAMPI ELLIFF, DAVID GEORGE FIORE, ANA PATRICIA PERES FRANCO, CLELIA MARIA RIBEIRO GIACOMO, MARIA CRISTINA BRANDAO Gomes, Sidney GONCALVES, MARCUS VINICIUS MAGNO GRZESIUK, ANDERSON KUNTZ INOJOSA, JOSE LUIZ Kaimen-Maciel, Damacio Ramon LIN, KATIA , et al. ; Multiple sclerosis in South America: month of birth in different latitudes does not seem to interfere with the prevalence or progression of the disease. Arquivos de Neuro-Psiquiatria (Impresso), v. 71, p. 573-579, 2013. Fragoso, Yára Dadalti Shearer, Kirsty D. Adoni, Tarso Alves-Leon, Soniza Vieira Bidin Brooks, Joseph Bruno Comini-Frota, Elizabeth Regina Damasceno, Alfredo Damasceno, Benito Peres Fiore, Ana Patrícia Baptista Giacomo, Maria Cristina Gomes, Sidney Magno Gonçalves, Marcus Vinicius Kaimen-Maciel, Damacio Ramón Lin, Katia Lopes, Josiane Lopes, Juarez Silva Lourenço, Giselle Machado, Gabriela Melges, Luiz Domingos de Macedo Oliveira Morales, Nívea Rizo Morales, Rogério Moreira, Marcos Noal, Janaina Silveira da Silva Oliveira, Celso Luis Papais-Alvarenga, Regina Maria , et al. ; Month of Birth Does Not Seem to Interfere with the Development of Multiple Sclerosis Later in Life in Brazilian Patients. Neuroepidemiology (Online), v. 39, p. 70-71, 2012. LOPES, MARK WILLIAM ; LOPES, SAMANTHA CRISTIANE ; SANTOS, DANÚBIA BONFANTI ; COSTA, ANA PAULA ; GONÇALVES, FILIPE MARQUES ; DE MELLO, NELSON ; Prediger, Rui Daniel ; FARINA, MARCELO ; Walz, Roger ; LEAL, RODRIGO BAINY . Time course evaluation of behavioral impairments in the pilocarpine model of epilepsy. Epilepsy & Behavior (Print), v. 55, p. 92-100, 2016. HOELLER, ALEXANDRE A. ; COSTA, ANA PAULA R. ; BICCA, MAÍRA A. ; MATHEUS, FILIPE C. ; LACH, GILLIARD ; SPIGA, FRANCESCA ; LIGHTMAN, STAFFORD L. ; Walz, Roger ; COLLINGRIDGE, GRAHAM L. ; BORTOLOTTO, ZUNER A. ; DE LIMA, THEREZA C. M. . The Role of Hippocampal NMDA Receptors in Long-Term Emotional Responses following Muscarinic Receptor Activation. Plos One, v. 11, p. e0147293, 2016. MATHEUS, FILIPE C. ; RIAL, DANIEL ; REAL, JOANA I. ; LEMOS, CRISTINA ; BEN, JULIANA ; GUAITA, GISELE O. ; PITA, INÊS R. ; SEQUEIRA, ANA C. ; PEREIRA, FREDERICO C. ; Walz, Roger ; TAKAHASHI, REINALDO N. ; BERTOGLIO, LEANDRO J. ; CUNHA, CLÁUDIO DA ; CUNHA, RODRIGO A. ; PREDIGER, RUI D. . Decreased synaptic plasticity in the medial prefrontal cortex underlies short-term memory deficits in 6-OHDA-lesioned rats. Behavioural Brain Research, v. 301, p. 43-54, 2016. Diaz, Alexandre Paim ; FREITAS, FERNANDO CINI ; DE OLIVEIRA THAIS, MARIA EMÍLIA ; DA SILVA AREAS, FERNANDO ZANELA ; SCHWARZBOLD, MARCELO LIBORIO ; DEBONA, RODRIGO ; NUNES, JEAN COSTA ; GUARNIERI, RICARDO ; MARTINEZ-RAMIREZ, DANIEL ; Prediger, Rui Daniel ; SHUKLA, APARNA WAGLE ; LINHARES, MARCELO NEVES ; Walz, Roger . Variables associated with physical health-related quality of life in Parkinson?s disease patients presenting for deep brain stimulation. Neurological Sciences (Testo stampato), v. ., p. .-., 2016. DE CARVALHO, CRISTIANE R. ; HOELLER, ALEXANDRE A. ; FRANCO, PEDRO L.C. ; MARTINI, ATHOS P.S. ; SOARES, FLÁVIA M.S. ; LIN, KATIA ; PREDIGER, RUI D. ; WHALLEY, BENJAMIN J. ; Walz, Roger . The cannabinoid CB2 receptor-specific agonist AM1241 increases pentylenetetrazole-induced seizure severity in Wistar rats. Epilepsy Research, v. 127, p. 160-167, 2016. LOPES, M W ; LEAL, R B ; GUARNIERI, R ; SCHWARZBOLD, M L ; HOELLER, A ; DIAZ, A P ; BOOS, G L ; LIN, K ; LINHARES, M N ; NUNES, J C ; QUEVEDO, J ; BORTOLOTTO, Z A ; MARKOWITSCH, H J ; LIGHTMAN, S L ; WALZ, R . A single high dose of dexamethasone affects the phosphorylation state of glutamate AMPA receptors in the human limbic system. Translational Psychiatry, v. 6, p. e986, 2016. HILLIARD, JUSTIN D. ; BONA, ALBERTO ; VAZIRI, SASHA ; Walz, Roger ; OKUN, MICHAEL S. ; FOOTE, KELLY D. . 138-Delayed Scalp Erosion After Deep Brain Stimulation Surgery. Neurosurgery, v. 63, p. 156, 2016. HOELLER, A ; de Carvalho CR ; WALZ R ; DE LIMA, THEREZA C. M. . Experimental emotional disorders in epilepsy and the implication of muscarinic acetylcholine receptors: a forgotten putative therapeutic target. Vitalle, v. 28, p. 27-38, 2016. SCARLATELLI-LIMA, ALINE VIEIRA ; SUKYS-CLAUDINO, LUCIA ; WATANABE, NANCY ; GUARNIERI, RICARDO ; Walz, Roger ; LIN, KATIA . How do people with drug-resistant mesial temporal lobe epilepsy sleep? A clinical and video-EEG with EOG and submental EMG for sleep staging study. eNeurologicalSci, v. 4, p. 34-41, 2016. ALMEIDA, LEONARDO ; AHMED, BILAL ; Walz, Roger ; DE JESUS, SOL ; PATTERSON, ADDIE ; MARTINEZ-RAMIREZ, DANIEL ; VAILLANCOURT, DAVID ; BOWERS, DAWN ; WARD, HERBERT ; OKUN, MICHAEL S. ; R. MCFARLAND, NIKOLAUS . Depressive Symptoms are Frequent in Atypical Parkinsonian Disorders. MOVEMENT DISORDERS CLINICAL PRACTICE, v. 4, p. 191-197, 2016. DE SOUZA, R. L. ; THAIS, M. E. ; CAVALLAZZI, G. ; PAIM DIAZ, A. ; SCHWARZBOLD, M. L. ; NAU, A. L. ; RODRIGUES, G. M. ; SOUZA, D. S. ; HOHL, A. ; Walz, R. . Side of pupillary mydriasis predicts the cognitive prognosis in patients with severe traumatic brain injury. Acta Anaesthesiologica Scandinavica, v. 59, p. 392-405, 2015. NUNES, J. C. ; RINNENTHAL, J. L. ; ALLENBACH, Y. ; LENZE, D. ; HUMMEL, M. ; JÖHRENS, K. ; Walz, R. ; GOEBEL, H. H. ; HEPPNER, F. L. ; STENZEL, W. . Proximal weakness in a patient with MALT lymphoma: a case report and discussion of possible pathogenesis. Neuropathology and Applied Neurobiology (Print), v. ., p. n/a-n/a, 2015. VIEIRA, F. C. F. ; RONSONI, M. F. ; HOHL, A. ; SUKYS-CLAUDINO, LUCIA ; PAIM DIAZ, A. ; SCHWARZBOLD, M. L. ; GUARNIERI, R ; NUNES, J. ; LIN, K ; WALZ, R . How predictable is the erectile function of patients with epilepsy?. Epilepsy & Behavior (Print), v. 47, p. 61-65, 2015. LOPES, MARK WILLIAM ; LOPES, SAMANTHA CRISTIANE ; COSTA, ANA PAULA ; GONÇALVES, FILIPE MARQUES ; RIEGER, DÉBORA KURRLE ; PERES, TANARA VIEIRA ; EYNG, HELENA ; Prediger, Rui Daniel ; Diaz, Alexandre Paim ; NUNES, JEAN COSTA ; Walz, Roger ; LEAL, RODRIGO BAINY . Region-specific alterations of AMPA receptor phosphorylation and signaling pathways in the pilocarpine model of epilepsy. Neurochemistry International, v. ., p. ., 2015. Diaz, Alexandre Paim ; SCHWARZBOLD, MARCELO LIBORIO ; GUARNIERI, RICARDO ; DE OLIVEIRA THAIS, MARIA EMILIA RODRIGUES ; FREITAS, FERNANDO CINI ; DA SILVA AREAS, FERNANDO ZANELA ; LINHARES, MARCELO NEVES ; Walz, Roger . Letter to the Editor: Early noninvasive brain stimulation after severe TBI. Journal of Neurosurgery, v. ., p. 1-2, 2015. DE LEMOS ZINGANO, BIANCA ; GUARNIERI, RICARDO ; Diaz, Alexandre Paim ; SCHWARZBOLD, MARCELO LIBORIO ; BICALHO, MARIA ALICE HORTA ; CLAUDINO, LUCIA SUKYS ; MARKOWITSCH, HANS J. ; WOLF, PETER ; LIN, KATIA ; Walz, Roger . Validation of diagnostic tests for depressive disorder in drug-resistant mesial temporal lobe epilepsy. Epilepsy & Behavior (Print), v. 50, p. 61-66, 2015. JANZEN, ESTER PRISCILA ; Walz, Roger ; LIN, KATIA . Cross-cultural adaptation of the SCATBI instrument for cognitive-linguistic abilities after traumatic brain injury. Arquivos de Neuro-Psiquiatria (Online), v. 73, p. 939-945, 2015. RONSONI, MARCELO FERNANDO ; REMOR, ALINE PERTILE ; LOPES, MARK WILLIAM ; HOHL, ALEXANDRE ; TRONCOSO, IRIS H. Z. ; LEAL, RODRIGO BAINY ; BOOS, GUSTAVO LUCHI ; KONDAGESKI, CHARLES ; NUNES, JEAN COSTA ; LINHARES, MARCELO NEVES ; LIN, KÁTIA ; LATINI, ALEXANDRA SUSANA ; Walz, Roger . Mitochondrial Respiration Chain Enzymatic Activities in the Human Brain: Methodological Implications for Tissue Sampling and Storage. Neurochemical Research, v. ., p. .-., 2015. COSTA, ANA PAULA ; LOPES, MARK WILLIAM ; RIEGER, DÉBORA K. ; BARBOSA, SABRINA GIOVANA ROCHA ; GONÇALVES, FILIPE MARQUES ; XIKOTA, JOÃO CARLOS ; Walz, Roger ; LEAL, RODRIGO B. . Differential Activation of Mitogen-Activated Protein Kinases, ERK 1/2, p38MAPK and JNK p54/p46 During Postnatal Development of Rat Hippocampus. Neurochemical Research, v. ., p. 1-10, 2015. MARTINEZ-RAMIREZ, DANIEL ; GIUGNI, JUAN C. ; ALMEIDA, LEONARDO ; Walz, Roger ; AHMED, BILAL ; CHAI, FIONA A. ; RUNDLE-GONZALEZ, VALERIE ; BONA, ALBERTO R. ; MONARI, ERIN ; WAGLE SHUKLA, APARNA ; HESS, CHRISTOPHER W. ; HASS, CHRIS J. ; OKUN, MICHAEL S. . Association between antidepressants and falls in Parkinson?s disease. Journal of Neurology (Print), v. 263, p. 76-82, 2015. HOHL, ALEXANDRE ; RONSONI, MARCELO FERNANDO ; SANDE-LEE, SIMONE VAN DE ; VIEIRA, FÁBIO CAVALCANTI DE FARIA ; SCHWARZBOLD, MARCELO LIBÓRIO ; Diaz, Alexandre Paim ; Walz, Roger . Androgens, Male Hypogonadism and Traumatic BrainInjury. Open Journal of Endocrine and Metabolic Diseases, v. 04, p. 13-23, 2014. MOREIRA, EDUARDO LUIZ GASNHAR ; DE OLIVEIRA, JADE ; ENGEL, DAIANE FÁTIMA ; Walz, Roger ; DE BEM, ANDREZA FABRO ; FARINA, MARCELO ; PREDIGER, RUI DANIEL S. . Hypercholesterolemia induces short-term spatial memory impairments in mice: up-regulation of acetylcholinesterase activity as an early and causal event?. Journal of Neural Transmission, v. 121, p. 415-426, 2014. 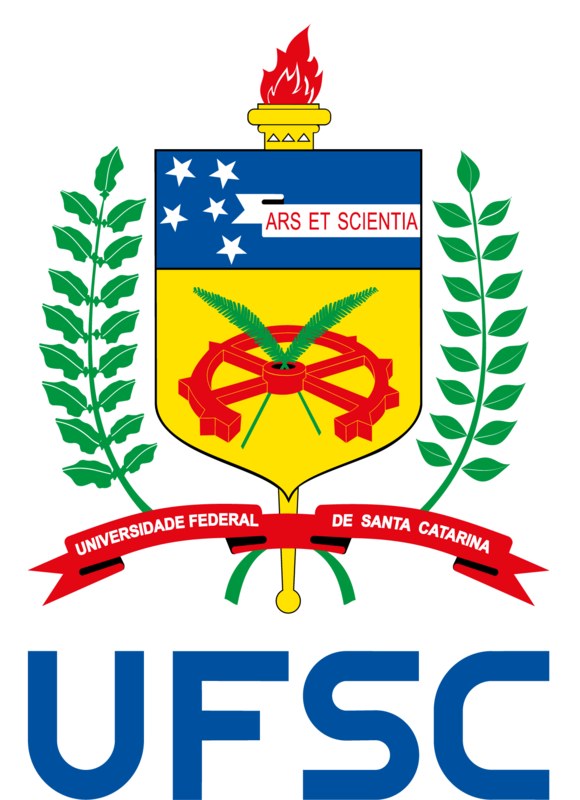 DIAZ, ALEXANDRE P. ; SCHWARZBOLD, MARCELO L. ; GUARNIERI, RICARDO ; DE OLIVEIRA THAIS, MARIA EMÍLIA R. ; HOHL, ALEXANDRE ; NUNES, JEAN C. ; LINHARES, MARCELO N. ; SCHRODER PREDIGER, RUI D. ; Walz, Roger . Posttraumatic Amnesia and Personality Changes after Severe Traumatic Brain Injury: Preliminary Findings. CNS Neuroscience & Therapeutics (Print), v. ., p. n/a-n/a, 2014. HOHL, ALEXANDRE ; RONSONI, MARCELO FERNANDO ; DEBONA, R. ; BEN, JULIANA ; SCHWARZBOLD, MARCELO LIBORIO ; PAIM DIAZ, ALEXANDRE ; THAIS, MARIA EMÍLIA RODRIGUES DE OLIVEIRA ; LINHARES, MARCELO NEVES ; LATINI, ALEXANDRA ; Walz, R. . Role of hormonal levels on hospital mortality for male patients with severe traumatic brain injury. Brain Injury (London. Print), v. ., p. 1-8, 2014. RIAL, DANIEL ; PAMPLONA, FABRÍCIO A. ; MOREIRA, EDUARDO L. G. ; MOREIRA, KARIN M. ; HIPOLIDE, DÉBORA ; RODRIGUES, DIANA I. ; DOMBROWSKI, PATRÍCIA A. ; DA CUNHA, CLAUDIO ; AGOSTINHO, PAULA ; TAKAHASHI, REINALDO N. ; Walz, Roger ; CUNHA, RODRIGO A. ; PREDIGER, RUI D. . Cellular prion protein is present in dopaminergic neurons and modulates the dopaminergic system. European Journal of Neuroscience (Print), v. ., p. n/a-n/a, 2014. SCHWARZBOLD, MARCELO L. ; DIAZ, ALEXANDRE P. ; NUNES, JEAN C. ; SOUSA, DANIEL S. ; HOHL, ALEXANDRE ; GUARNIERI, RICARDO ; LINHARES, MARCELO N. ; Walz, Roger . Validity and screening properties of three depression rating scales in a prospective sample of patients with severe traumatic brain injury. Revista Brasileira de Psiquiatria (São Paulo. 1999. Impresso), v. 00, p. 000-000, 2014. DIAZ, ALEXANDRE P. ; SCHWARZBOLD, MARCELO L. ; THAIS, MARIA E. ; CAVALLAZZI, GISELE G. ; SCHMOELLER, ROSELI ; NUNES, JEAN C. ; HOHL, ALEXANDRE ; GUARNIERI, RICARDO ; LINHARES, MARCELO N. ; Walz, Roger . Personality changes and return to work after severe traumatic brain injury: a prospective study. Revista Brasileira de Psiquiatria (São Paulo. 1999. Impresso), v. 00, p. 000-000, 2014. RIAL, DANIEL ; PANDOLFO, P. ; BITTENCOURT, R. ; PAMPLONA, FABRÍCIO A. ; DA CUNHA, CLAUDIO ; Walz, Roger ; CUNHA, RODRIGO A. ; TAKAHASHI, REINALDO N. ; PREDIGER, R. D. S. . Cellular prion protein (PrPC) modulates ethanol-induced behavioral adaptive changes in mice. Behavioural Brain Research, v. 271, p. 325-332, 2014. RIEGER, D. K. ; CUNHA, R. M. S. ; LOPES, MARK WILLIAM ; COSTA, A. P. ; BUDNI, J. ; RODRIGUES, ANA LÚCIA S. ; Walz, Roger ; TEIXEIRA, E. H. ; NASCIMENTO, K. S. ; CAVADA, B. S. ; LEAL, R.B. . ConBr, a lectin from Canavalia brasiliensis seeds, modulates signaling pathways and increases BDNF expression probably via a glycosylated target. JMR. Journal of Molecular Recognition, v. 27, p. 746-754, 2014. TOYAMA, ROVANA PALUDO ; XIKOTA, JOÃO CARLOS ; SCHWARZBOLD, MARCELO L. ; FRODE, TANIA SILVIA ; BUSS, ZILIANI DA SILVA ; NUNES, JEAN COSTA ; FUNCHAL, GABRIELA DI GIUNTA ; NUNES, FERNANDA COSTA ; Walz, Roger ; DE SOUZA PIRES, MARIA MARLENE . Dose-dependent sickness behavior, abortion and inflammation induced by systemic LPS injection in pregnant mice.. Journal of Maternal-Fetal & Neonatal Medicine (Print), v. ., p. 1-15, 2014. BEN, JULIANA ; DE OLIVEIRA, PAULO ALEXANDRE ; GONÇALVES, FILIPE MARQUES ; PERES, TANARA VIEIRA ; MATHEUS, FILIPE CARVALHO ; HOELLER, ALEXANDRE ADEMAR ; LEAL, RODRIGO BAINY ; Walz, Roger ; Prediger, Rui Daniel . Effects of Pentylenetetrazole Kindling on Mitogen-Activated Protein Kinases Levels in Neocortex and Hippocampus of Mice. Neurochemical Research, v. ., p. .-., 2014. NUNES, J. ; RADBRUCH, H. ; Walz, R. ; LIN, K. ; STENZEL, W. ; PROKOP, S. ; KOCH, A. ; HEPPNER, F. . The most fulminant course of the Marburg variant of multiple sclerosis–autopsy findings. Multiple Sclerosis, v. ., p. 1-3, 2014. MENDES ARENT, ANDRÉ ; SOUZA, LUIZ FELIPE DE ; Walz, Roger ; DAFRE, ALCIR LUIZ . Perspectives on Molecular Biomarkers of Oxidative Stress and Antioxidant Strategies in Traumatic Brain Injury. BIOMED RES INT, v. 2014, p. 1-18, 2014. MORETTI, M. ; MATHEUS, FILIPE C. ; DE OLIVEIRA, PAULO ALEXANDRE ; NEIS, V. B. ; Ben J ; Walz, Roger ; RODRIGUES, ANA LÚCIA S. ; PREDIGER, R. D. . Role of agmatine in neurodegenerative diseases and epilepsy. Frontiers in Bioscience (Elite Edition), v. 6, p. 341-459, 2014. LOPES, MARK WILLIAM ; SOARES, FLÁVIA MAHATMA SCHNEIDER ; MELLO, NELSON ; NUNES, JEAN COSTA ; CAJADO, AURILENE GOMES ; BRITO, DANIEL ; CORDOVA, FABIANO MENDES ; CUNHA, RODRIGO MARANGUAPE SILVA ; Walz, Roger ; LEAL, RODRIGO BAINY . Time-dependent modulation of AMPA receptor phosphorylation and mRNA expression of NMDA receptors and glial glutamate transporters in the rat hippocampus and cerebral cortex in a pilocarpine model of epilepsy. Experimental Brain Research, v. 226, p. 153-163, 2013. VALADÃO, MICHELLE N. ; COIMBRA, ÉRICA R. ; LANDEMBERGER, MICHELE C. ; VELASCO, TONICARLO R. ; TERRA, VERA C. ; WICHERT-ANA, LAURO ; ALEXANDRE, VERIANO ; ARAÚJO, DAVID ; GUARNIERI, RICARDO ; MARTINS, VILMA R. ; SANTOS, ANTÔNIO CARLOS ; SAKAMOTO, AMÉRICO C. ; Walz, Roger . Prnp gene and cerebellum volume in patients with refractory mesial temporal lobe epilepsy. Neurological Sciences (Testo stampato), v. ., p. ., 2013. PERES, TANARA VIEIRA ; PEDRO, DANIELA ZÓTICO ; DE CORDOVA, FABIANO MENDES ; LOPES, MARK WILLIAM ; GONÇALVES, FILIPE MARQUES ; MENDES-DE-AGUIAR, CLÁUDIA BEATRIZ NEDEL ; Walz, Roger ; FARINA, MARCELO ; ASCHNER, MICHAEL ; LEAL, RODRIGO BAINY . In Vitro Manganese Exposure Disrupts MAPK Signaling Pathways in Striatal and Hippocampal Slices from Immature Rats. BioMed Research International, v. 2013, p. 1-12, 2013. AGUIAR, A.S. ; MOREIRA, E.L.G. ; HOELLER, A.A. ; OLIVEIRA, P.A. ; CÓRDOVA, F.M. ; GLASER, V. ; Walz, R. ; CUNHA, R.A. ; LEAL, R.B. ; LATINI, A. ; PREDIGER, R.D.S. . Exercise attenuates levodopa-induced dyskinesia in 6-hydroxydopamine-lesioned mice. Neuroscience, v. 243, p. 46-53, 2013. NUNES, JEAN COSTA ; COSTA BERGAMASCHI, E. N. ; FREITAS, F. C. ; DIAZ, A. P. ; QUEIROZ, L. P. ; DEBONA, R. ; PREDIGER, R. D. S. ; LINHARES, M. N. ; LIN, K. ; Walz, Roger . Prevalence of headache in patients with Parkinson?s disease and its association with the side of motor symptom onset. Neurological Sciences (Testo stampato), v. ., p. .-., 2013. NUNES, JEAN COSTA ; MARTINS, RAFAEL FERREIRA ; BASTOS, ALEXANDRE ; CLAUDINO, LUCIA SUKYS ; GUARNIERI, RICARDO ; LIMA, DANIEL DE CASTRO ; SCHROEDER, HUMBERTO KLUGE ; LIN, KATIA ; Walz, Roger . Brain lipoma, corpus callosum hypoplasia and polymicrogyria in Familial Multiple Lipomatosis. Clinical Neurology and Neurosurgery (Dutch-Flemish ed. ), v. 115, p. 1157-1159, 2013. BEN, JULIANA ; MARQUES GONÇALVES, FILIPE ; ALEXANDRE OLIVEIRA, PAULO ; VIEIRA PERES, TANARA ; HOHL, ALEXANDRE ; BAINY LEAL, RODRIGO ; ABRÃO CAVALHEIRO, ESPER ; DANIEL SCHRODER PREDIGER, RUI ; Walz, Roger . Brain MAPKs Levels are Differentially Associated with Seizures Threshold and Severity Progression in Pentylenetetrazole-Kindled Mice. CNS Neuroscience & Therapeutics (Print), v. 19, p. 726-729, 2013. MOREIRA, EDUARDO LUIZ GASNHAR ; AGUIAR, ADERBAL S. ; DE CARVALHO, CRISTIANE RIBEIRO ; SANTOS, DANÚBIA BONFANTI ; DE OLIVEIRA, JADE ; DE BEM, ANDREZA FABRO ; XIKOTA, JOÃO CARLOS ; Walz, Roger ; FARINA, MARCELO ; Prediger, Rui Daniel . Effects of lifestyle modifications on cognitive impairments in a mouse model of hypercholesterolemia. Neuroscience Letters (Print), v. 541, p. 193-198, 2013. PIZZATTO, RONALDO ; LIN, KATIA ; WATANABE, NANCY ; CAMPIOLO, GIOVANNA ; BICALHO, MARIA ALICE HORTA ; GUARNIERI, RICARDO ; CLAUDINO, RINALDO ; Walz, Roger ; SUKYS-CLAUDINO, LUCIA . Excessive sleepiness and sleep patterns in patients with epilepsy: A case-control study. Epilepsy & Behavior (Print), v. 29, p. 63-66, 2013. SCHROEDER, HUMBERTO KLUGE ; NUNES, JEAN COSTA ; MADEIRA, LUCIANO ; MORITZ, JORGE LUIS WOLLSTEIN ; Walz, Roger ; LINHARES, MARCELO NEVES . Postsurgical infection after myelomeningocele repair: A multivariate analysis of 60 consecutive cases. Clinical Neurology and Neurosurgery (Dutch-Flemish ed. ), v. 114, p. 981-985, 2012. PAULI, CARLA ; THAIS, MARIA EMILIA DE OLIVEIRA ; CLAUDINO, LUCIA SUKYS ; BICALHO, MARIA ALICE HORTA ; BASTOS, ALEXANDRE CUNHA ; GUARNIERI, RICARDO ; NUNES, JEAN COSTA ; LIN, KATIA ; LINHARES, MARCELO NEVES ; Walz, Roger . Predictors of quality of life in patients with refractory mesial temporal lobe epilepsy. Epilepsy & Behavior (Print), v. 25, p. 208-213, 2012. BICALHO, MARIA ALICE HORTA ; SUKYS-CLAUDINO, LUCIA ; GUARNIERI, RICARDO ; LIN, KATIA ; Walz, Roger . Socio-demographic and clinical characteristics of Brazilian patients with epilepsy who drive and their association with traffic accidents. Epilepsy & Behavior (Print), v. 24, p. 216-220, 2012. HOHL, ALEXANDRE ; GULLO, JACKSON DA SILVA ; SILVA, CLÁUDIA CARVALHO PESTANA ; BERTOTTI, MELINA MORÉ ; FELISBERTO, FRANCINE ; NUNES, JEAN COSTA ; DE SOUZA, BRUNA ; PETRONILHO, FABRICIA ; SOARES, FLÁVIA MAHATMA SCHNEIDER ; PREDIGER, RUI DANIEL SCHRODER ; DAL-PIZZOL, FELIPE ; LINHARES, MARCELO NEVES ; Walz, Roger . Plasma levels of oxidative stress biomarkers and hospital mortality in severe head injury: A multivariate analysis. Journal of Critical Care, v. 27, p. 523.e11-523.e19, 2012. DE OLIVEIRA THAIS, MARIA EMÍLIA RODRIGUES ; CAVALLAZZI, GISELE ; FORMOLO, DOUGLAS AFONSO ; DE CASTRO, LUCAS D’ÁVILA ; SCHMOELLER, ROSELI ; GUARNIERI, RICARDO ; SCHWARZBOLD, MARCELO LIBORIO ; Diaz, Alexandre Paim ; HOHL, ALEXANDRE ; PREDIGER, RUI D. S. ; MADER, MARIA JOANA ; LINHARES, MARCELO NEVES ; STANILOIU, ANGELICA ; MARKOWITSCH, HANS J. ; Walz, Roger . Limited predictive power of hospitalization variables for long-term cognitive prognosis in adult patients with severe traumatic brain injury. J NEUROPSYCHOL, v. ., p. n/a-n/a, 2012. THAIS, MARIA EMÍLIA RODRIGUES DE OLIVEIRA ; CAVALLAZZI, GISELE ; SCHWARZBOLD, MARCELO LIBORIO ; Diaz, Alexandre Paim ; RITTER, CRISTIANE ; PETRONILHO, FABRÍCIA ; HOHL, ALEXANDRE ; PREDIGER, RUI D. S. ; LINHARES, MARCELO NEVES ; DAL-PIZZOL, FELIPE ; Walz, Roger . Plasma Levels of Oxidative Stress Biomarkers and Long-Term Cognitive Performance after Severe Head Injury. CNS Neuroscience & Therapeutics (Print), v. 18, p. 606-608, 2012. Diaz, Alexandre Paim ; SCHWARZBOLD, MARCELO LIBORIO ; THAIS, MARIA EMILIA ; HOHL, ALEXANDRE ; BERTOTTI, MELINA MORE ; SCHMOELLER, ROSELI ; NUNES, JEAN COSTA ; PREDIGER, RUI ; LINHARES, MARCELO NEVES ; GUARNIERI, RICARDO ; Walz, Roger . Psychiatric Disorders and Health-Related Quality of Life after Severe Traumatic Brain Injury: A Prospective Study. JOURNAL OF NEUROTRAUMA, v. 29, p. 1029-1037, 2012. SCHNEIDER SOARES, FLÁVIA MAHATMA ; MENEZES DE SOUZA, NICOLE ; LIBÓRIO SCHWARZBOLD, MARCELO ; PAIM DIAZ, ALEXANDRE ; COSTA NUNES, JEAN ; HOHL, ALEXANDRE ; NUNES ABREU DA SILVA, PRISCILLA ; VIEIRA, JULIANA ; LISBOA DE SOUZA, RAFAEL ; Moré Bertotti, Melina ; SCHODER PREDIGER, RUI DANIEL ; NEVES LINHARES, MARCELO ; BAFICA, ANDRÉ ; Walz, Roger . Interleukin-10 Is an Independent Biomarker of Severe Traumatic Brain Injury Prognosis. Neuroimmunomodulation, v. 19, p. 377-385, 2012. PREDIGER, RUI D. S. ; AGUIAR, ADERBAL S. ; MATHEUS, FILIPE C. ; Walz, Roger ; ANTOURY, LAYAL ; RAISMAN-VOZARI, RITA ; DOTY, RICHARD L. . Intranasal Administration of Neurotoxicants in Animals: Support for the Olfactory Vector Hypothesis of Parkinson?s Disease. Neurotoxicity Research, v. 21, p. 90-116, 2012. LUNARDI, MARIANA DOS SANTOS ; SOUZA, FÁBIO PRÁ DA SILVA DE ; XIKOTA, JOÃO CARLOS ; Walz, Roger ; LIN, KATIA . Epilepsy perception amongst education professionals. Journal of Epilepsy and Clinical Neurophysiology (Impresso), v. 18, p. 79-84, 2012. MATHEUS, FILIPE C. ; AGUIAR, ADERBAL S. ; CASTRO, ADALBERTO A. ; VILLARINHO, JARDEL G. ; Ferreira, Juliano ; FIGUEIREDO, CLÁUDIA P. ; Walz, Roger ; Santos, Adair R.S. ; Tasca, Carla I. ; PREDIGER, RUI D.S. . Neuroprotective effects of agmatine in mice infused with a single intranasal administration of 1-methyl-4-phenyl-1,2,3,6-tetrahydropyridine (MPTP). Behavioural Brain Research, v. 235, p. 263-272, 2012. RIAL, D. ; PIERMARTIRI, T.C. ; DUARTE, F.S. ; TASCA, C.I. ; Walz, R. ; PREDIGER, R.D. . Overexpression of cellular prion protein (PrPC) prevents cognitive dysfunction and apoptotic neuronal cell death induced by amyloid-β (Aβ1-40) administration in mice. Neuroscience, v. 215, p. 79-89, 2012. MOREIRA, EDUARDO L. G. ; DE OLIVEIRA, J ; Nunes JC ; SANTOS, DB ; Nunes FC ; VIEIRA, DS ; RIBEIRO DO VALLE, RM ; PAMPLONA, FA ; DE BEM, A.F. ; FARINA, M ; Walz, Roger ; PREDIGER, R. D. . Age-related cognitive decline in hypercholesterolemic LDL receptor knockout mice (LDLr-/-): evidence of antioxidant imbalance and increased acetylcholinesterase activity in the prefrontal cortex. Journal of Alzheimer’s Disease, v. 32, p. 495-511, 2012. Neves FS & Lin K. Bilateral foot drop in polyarteritis nodosa. N Engl J Med 2012; 367: e9. 83. Beckhauser, Mayara Thays ; PERUCHI, Mirella Maccarini ; De Luca, Gisele Rozone ; Lin, Katia ; Esteves, Sofia ; Vilarinho, Laura ; LIN, Jaime . Neuroradiological findings of an adolescent with early treated phenylketonuria: is phenylalanine restriction enough?. Clinics and Practice, v. 1, p. 43-45, 2011. 84. Nunes, Jean Costa ; Zakon, Danielle Brandes ; Claudino, Lucia Sukys ; Guarnieri, Ricardo ; Bastos, Alexandre ; Queiroz, Luiz Paulo ; Walz, Roger ; Lin, Katia. Hippocampal sclerosis and ipsilateral headache among mesial temporal lobe epilepsy patients. Seizure (London, England) , v. 20, p. 480-484, 2011. 85. Lunardi, M S ; Soliman, L A P ; Pauli, C ; Lin, Katia. Epilepsy and occupational accidents in Brazil: a national statistics study. Arquivos de Neuro-Psiquiatria (Impresso), v. 69, p. 332-335, 2011. 86. Veronez, I S ; Bicalho, M A H ; Claudino, L S ; Walz, R ; Lin, Katia. Cross-cultural translation of the INSPIRIT-R for Brazil and its applicability among epilepsy patients. Arquivos de Neuro-Psiquiatria (Impresso) , v. 69, p. 310-315, 2011. 87. LIN, KATIA . Topiramato: uma molécula multifacetada. Revista de Neurociências (EPM. Impresso), v. 19, p. 8-9, 2011. 88. Lin, Katia ; Carrete Jr, Henrique ; LIN, Jaime ; PERUCHI, Mirella Maccarini ; de Araújo Filho, Gerardo Maria ; Guaranha, Mirian Salvadori Bittar ; Guilhoto, Laura Maria Figueiredo Ferreira ; SAKAMOTO, Américo Ceiki ; YACUBIAN, Elza Márcia Targas . Magnetic resonance spectroscopy reveals an epileptic network in juvenile myoclonic epilepsy. Epilepsia (Copenhagen) , v. 50, p. 1191-1200, 2009. 89. Guilhoto, Laura M.F.F. ; MARTINS, H. H. ; VIDAL-DOURADO, Marcos ; Almeida, E. ; MESQUITA, S. ; Tavares, C. ; LIN, KATIA ; ALEXANDRE JUNIOR, V. ; CASTRO, A. ; MATSUKO, A. ; Mendonça, A. ; Martins, M.H. ; Galvez, M. ; Camarinho, M. ; CAMARINHO, M. ; Mateus, N. ; Jurjuck, J. ; YACUBIAN, Elza Marcia . IBE promising strategies program 2008: “Epilepsy at school: teaching the teachers” – Educational plan of the “Associação Brasileira de Epilepsia” with teachers of elementary school.. Journal of Epilepsy and Clinical Neurophysiology (Impresso), v. 16, p. 80-86, 2010. 90. de Araújo Filho, Gerardo Maria ; Lin, Katia ; LIN, Jaime ; Peruchi, Mirella M. ; Caboclo, Luís Otávio S.F. ; Guaranha, Mirian S.B. ; Guilhoto, Laura M.F.F. ; Carrete Jr, Henrique ;Yacubian, Elza Márcia T. . Are personality traits of juvenile myoclonic epilepsy related to frontal lobe dysfunctions? A proton MRS study. Epilepsia (Copenhagen) , v. 50, p. 1201-1209, 2009. 91. LIN, KATIA ; CARRETE JUNIOR, Henrique ; LIN, Jaime ; PERUCHI, Mirella Maccarini ; ARAÚJO FILHO, Gerardo Maria de ; PASCALICCHIO, Tatiana Frascarelli ; GUARANHA, M. S. B. ;GUILHOTO, Laura F F ; YACUBIAN, Elza Márcia Targas . Proton magnetic resonance spectroscopy study of juvenile myoclonic epilepsy patients suggests involvement of a specific neuronal network. Journal of Epilepsy and Clinical Neurophysiology, v. 14, p. 99-100, 2008. 92. LIN, KATIA ; GUILHOTO, Laura F F ; YACUBIAN, Elza Márcia Targas . Drug-induced gingival enlargement – Part II. Antiepileptic drugs: not only phenytoin is involved. Journal of Epilepsy and Clinical Neurophysiology, v. 13, p. 83-88, 2007. 93. LIN, KATIA ; CARRETE JUNIOR, Henrique ; LIN, Jaime ; OLIVEIRA, Pedro Alessandro Leite de ; CABOCLO, Luis Otávio Sales Ferreira ; SAKAMOTO, Américo Ceiki ; YACUBIAN, Elza Márcia Targas . Facial Paresis in Patients with Mesial Temporal Sclerosis: Clinical and Quantitative MRI-based Evidence of Widespread Disease. Epilepsia (Copenhagen), v. 48, p. 1491-1499, 2007. 94. LIN, Jaime ; Lin, Katia ; Masruha, Marcelo Rodrigues ; Vilanova, Luiz Celso Pereira . Pyridoxine-dependent epilepsy initially responsive to phenobarbital. Arquivos de Neuro-Psiquiatria , v. 65, p. 1026-1029, 2007. 95. CABOCLO, Luis Otavio Sales Ferreira ; MIYASHIRA, Flavia Saori ; HAMAD, Ana Paula ; LIN, KATIA ; CARRETE JUNIOR, Henrique ; SAKAMOTO, Americo Ceiki ; YACUBIAN, Elza Marcia . Ictal spitting in left temporal lobe epilepsy: report of three cases.. Seizure (London) , Inglaterra, v. 15, n.6, p. 462-467, 2006. 96. SOUSA, Patricia da Silva ; LIN, KATIA ; GARZON, Eliana ; SAKAMOTO, Américo Ceiki ; YACUBIAN, Elza Márcia Targas . Self-perception of factors that precipitate or inhibit seizures in juvenile myoclonic epilepsy. Seizure (London) , Grã-Bretanha, v. 14, n.5, p. 340-346, 2005. 97. SOUSA, Patrícia da Silva ; LIN, KATIA ; GARZON, Eliana ; SAKAMOTO, Américo Ceiki ; YACUBIAN, Elza Márcia Targas . Language- and praxis-induced jerks in patients with juvenile myoclonic epilepsy. Epileptic Disorders , Estados Unidos, v. 7, n.2, p. 115-121, 2005. 98. do Vale FAC, Corrêa Neto Y, et al. Treatment of Alzheimer’s disease in Brazil. I. Cognitive disorders. Dement Neuropsychol, v. 5, p. 178-188, 2011. 99. do Vale FAC, Corrêa Neto Y, et al. Treatment of Alzheimer’s disease in Brazil. II. Behavioral and psychological symptoms of dementia. Dement Neuropsychol, v. 5, p. 189-197, 2011. 100. Corrêa Neto Y. Morte encefálica: cinquenta anos além do coma profundo. Rev Bras Saúde Matern Infant, v. 10(Suppl. 2): S355-S361, 2010. 101. Queiroz LP. Cefaléias associadas ao esforço físico e à atividade sexual. Migrâneas & Cefaléias, v. 7, p. 115-119, 2004. 102. Queiroz, L.P.; Rapoport, A. M. ; Sheftell, F.D. Características Clínicas da Enxaqueca Sem Aura. Arquivos de Neuro-Psiquiatria, v. 56, p. 78-82, 1998. 103. Schwarzbold M ; Diaz A ; Rufino ACTBF ; de Oliveira MER ; Quevedo J ; Linhares MN ; WALZ R . Psychiatric disorders and traumatic brain injury (Review). Neuropsychiatric Disease and Treatment , v. 04, p. 797-816, 2008.